Juan del Junco (Jerez de la Frontera, 1972). BA in Fine Arts from the University of Seville. Member and co-founder in the late 1990s of The Richard Channin Foundation in Seville. Winner of the 4th Pilar Citoler Contemporary Photography Prize in 2010 and the Cortes de Cádiz Prize for Contemporary Artistic Creation, he has received grants from Casa Velázquez and from Caja San Fernando (for photography projects by young Andalusian authors) as well as the Daniel Vázquez Díaz Plastic Arts Grant. 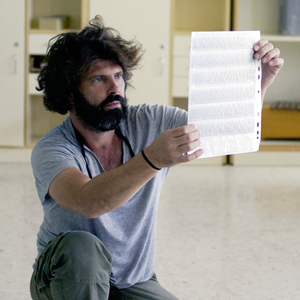 He has shown his work in numerous solo and group exhibitions, including Conceptual Andalusia: Européens en vol at the Museo Nacional de Ciencias Naturales (Madrid), El sueño del ornitólogo II (del Phylloscopus sibilatrix a la Oxiura jamaicensis) at the Centro Andaluz de Arte Contemporáneo (Seville) and Juan del Junco. Lejos del Paraíso in the Patio de Escuelas Menores of the Photography Center at the University of Salamanca. His work forms part of the MUSAC, Artium, Centro Andaluz de Arte Contemporáneo (CAAC), and CAC Málaga collections and those of the Photography Center at the University of Salamanca, Es Baluard, DKV and Caja Madrid. El mensaje is, above all, an expression of gratitude, a plea and an attempt to help out. For years I have worked with the world of ornithology as a frame of reference. I have described, classified and used images of birds to create metaphors… Having been of so much assistance in my work, birds have obviously accompanied and strengthened me as an artist, and helped me find the degree of honesty rightly expected of any creative practitioner in whatever discipline. I was accordingly indebted to them, and felt called on to create something useful, a plea on their behalf. El mensaje is a loud, beautiful birdsong, but also a sad song, a rebuke, the despairing song of a creature that lived in this world thousands of years before we did. That may sound rather arrogant, but I consider myself a mere translator.